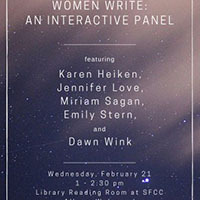 This interactive panel will feature Karen Heiken, Jennifer Love, Miriam Sagan, Emily Stern, and Dawn Wink. 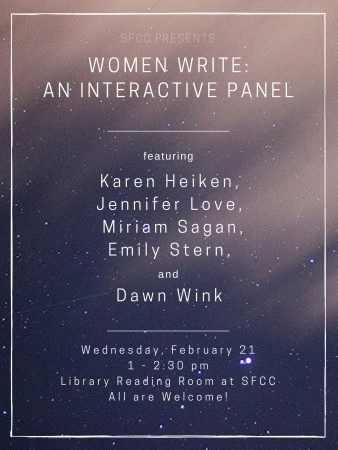 This don’t miss event will take place in the library reading room on February 21, 2018. Questions? Email sflr@sfcc.edu.